How do I edit the labels on my chart? 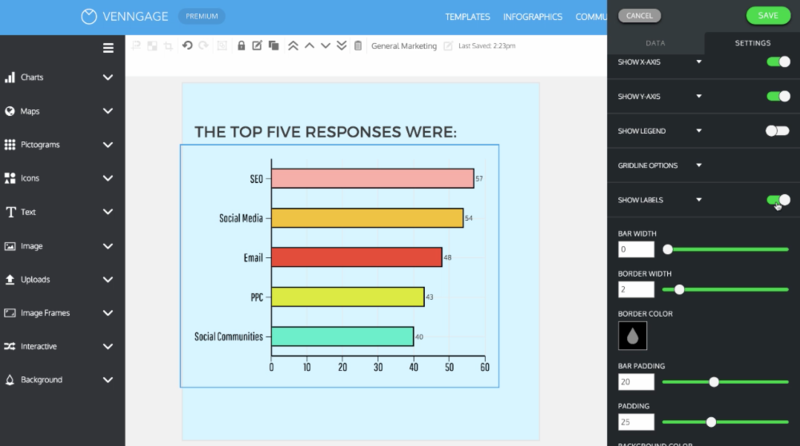 To add labels to your chart, double click the chart to open the right panel. Click on the Settings tab and then turn on Labels by clicking on the slider button. Now you have the labels on your chart turned on. 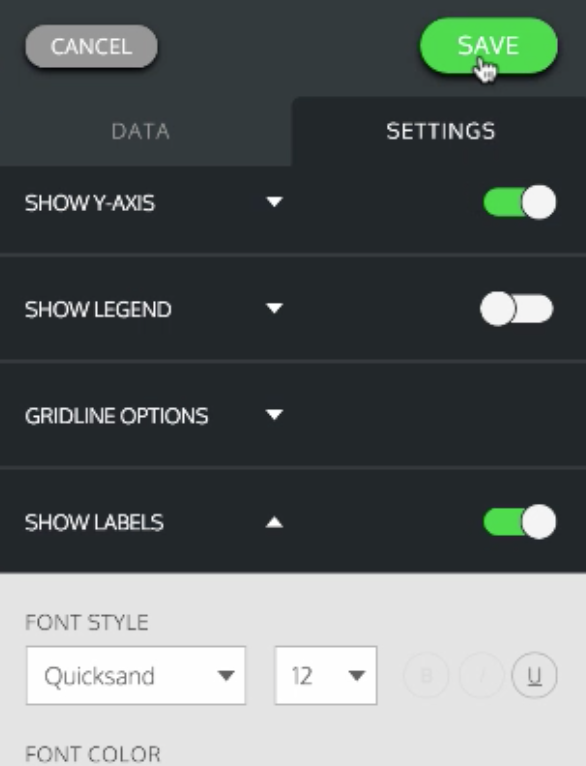 Show more options by clicking the triangle. 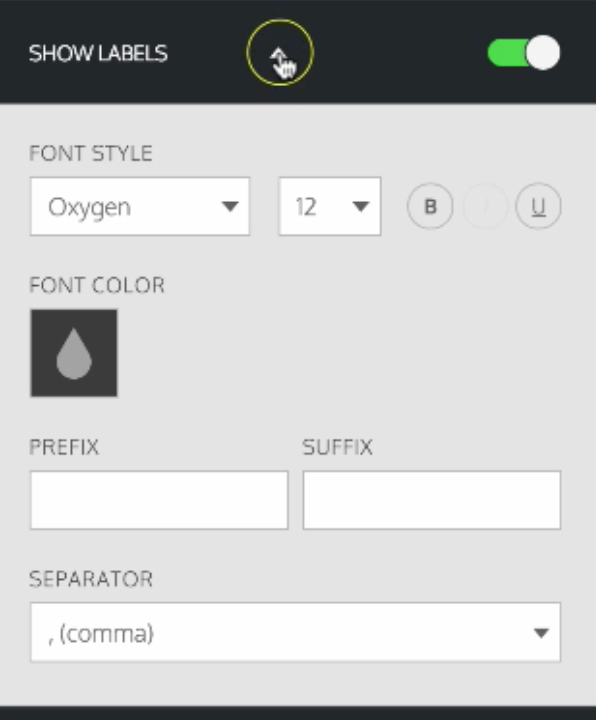 You can change the font style and color as well as add a prefix or suffix. When you’re done, click Save to return back to your canvas.